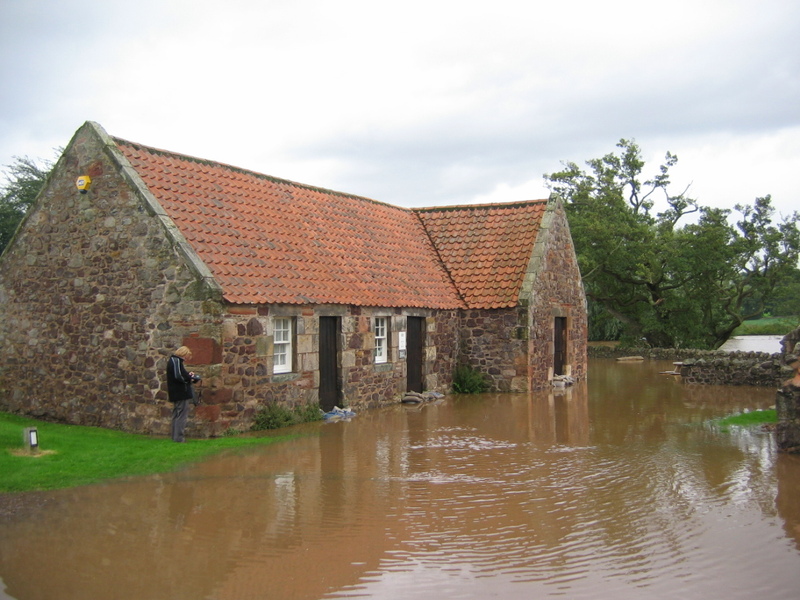 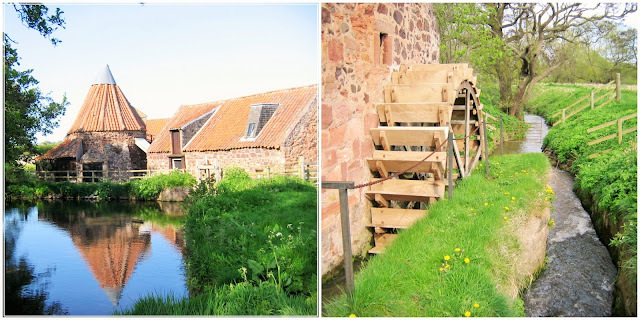 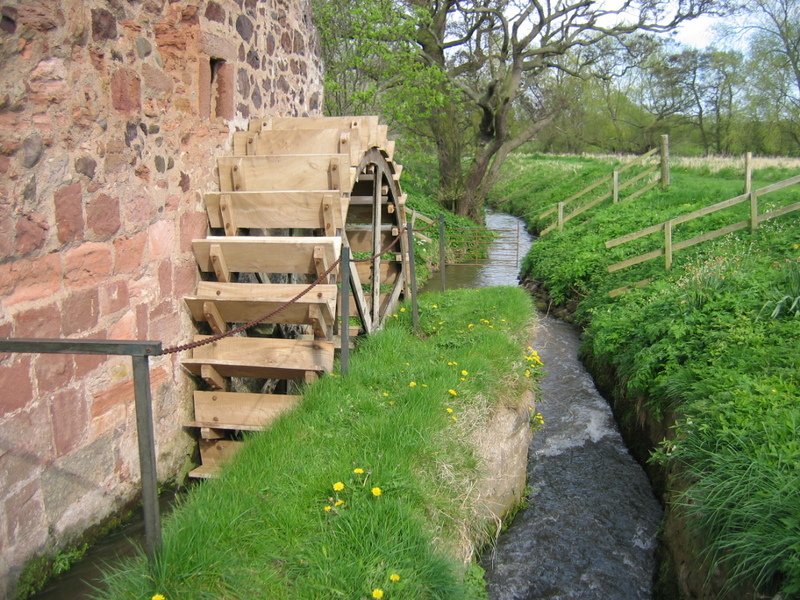 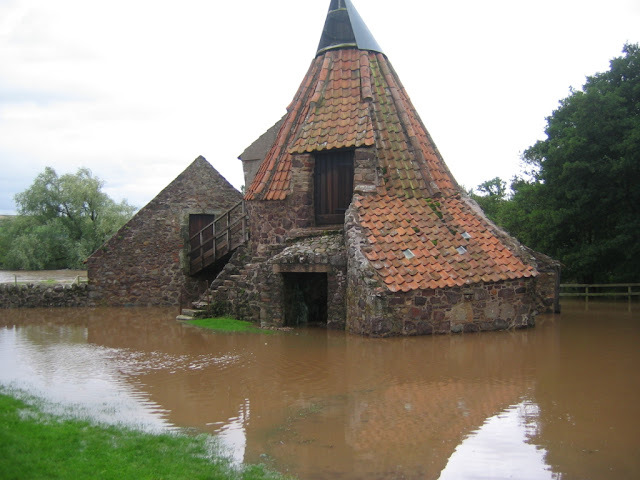 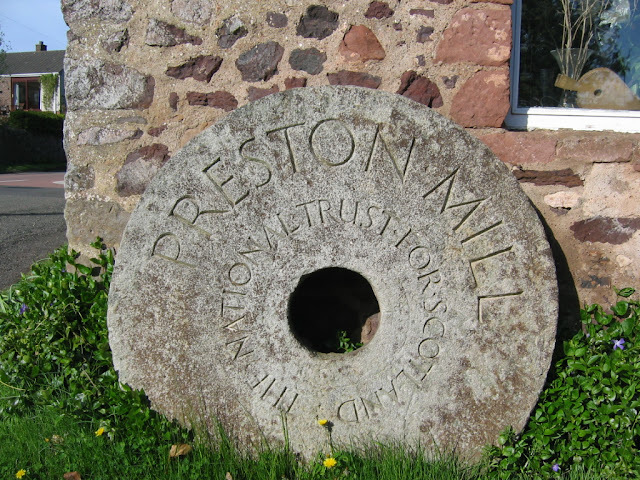 The oldest surviving water-powered meal mill in Scotland is Preston Mill, a watermill on the River Tyne at the eastern edge of East Linton on the B1407 Preston Road, in East Lothian, Scotland, UK. 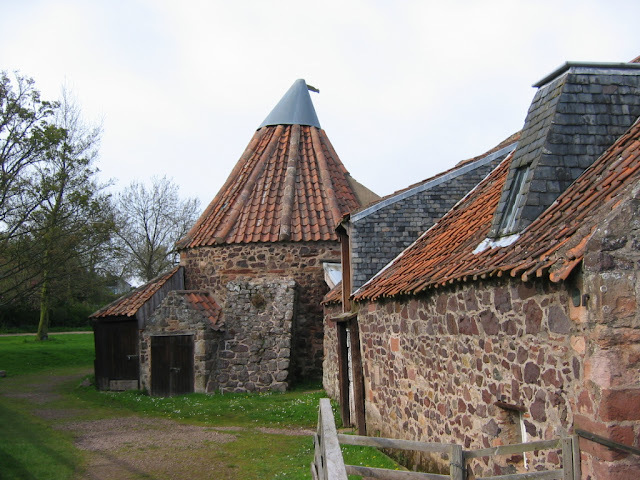 It is situated close to Prestonkirk Parish Church, the Smeaton Hepburn Estate, Smeaton Lake, and Phantassie Doocot. It was used commercially until 1959, and it produced oatmeal. The River Tyne still drives the water wheel, and the machinery can still be seen at work by visitors taking part in a tour. 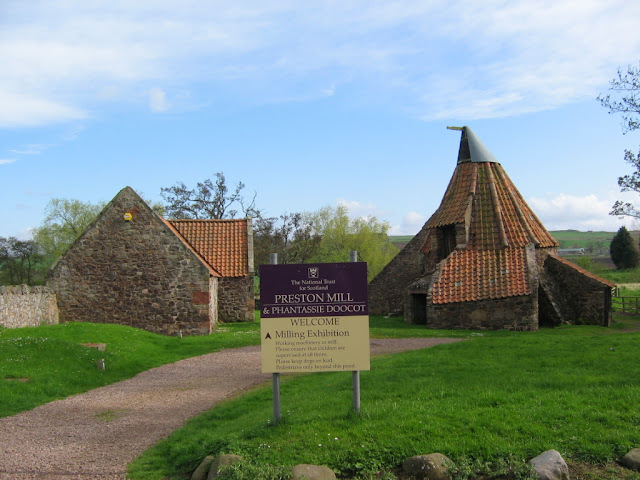 Preston Mill consists of a kiln, a mill, and the miller’s house. The mill wheel dates back to 1909. 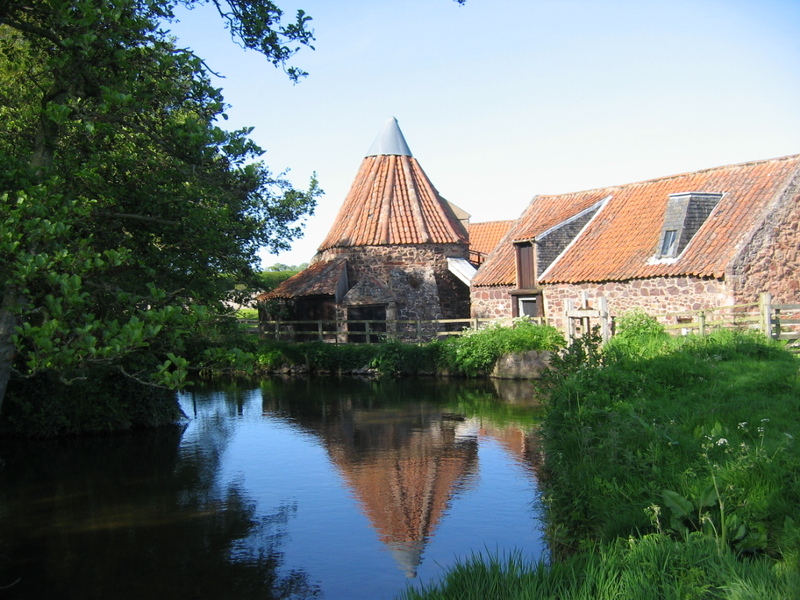 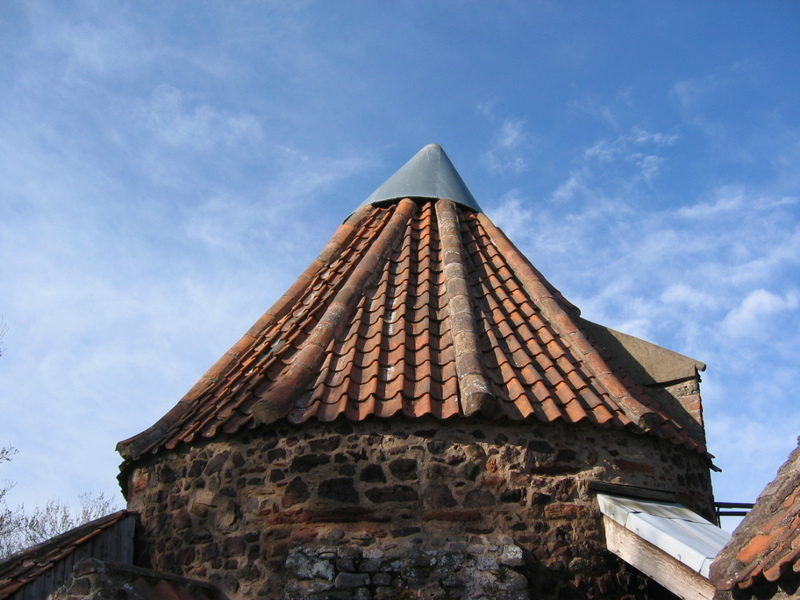 The mill is loved by visitors, painters and photographers, especially the kiln with its conical red pantile roof.